Ask any millennial horror lover what they grew up reading and once they’ve exhausted themselves bloviating about H.P. Lovecraft, Ramsey Campbell, and Richard Matheson, they’ll sigh and mutter, “Goosebumps.” Not that that’s anything to be ashamed of. R.L. Stine’s young adult horror series (and his slightly more mature Fear Street books) were a gateway into the genre for countless fans. And, unlike most prolific authors whose names have become brands, he’s still writing his many, many, many books. Great Big Story’s latest catches up with Stine, who offers some insight into his early days as a comedy writer and how horror has always made him laugh. If you’re anything like us, just looking at that colorful spread of book covers is enough to unlock innumerable memories of sitting on the school bus, plowing through tales of ghost masks, ghost puppets, and ghost protagonists (who else remembers The Ghost Next Door?). And Stine’s more than aware of how he’s now perceived among his now-adult fan base: “I’m nostalgia to them,” he says. 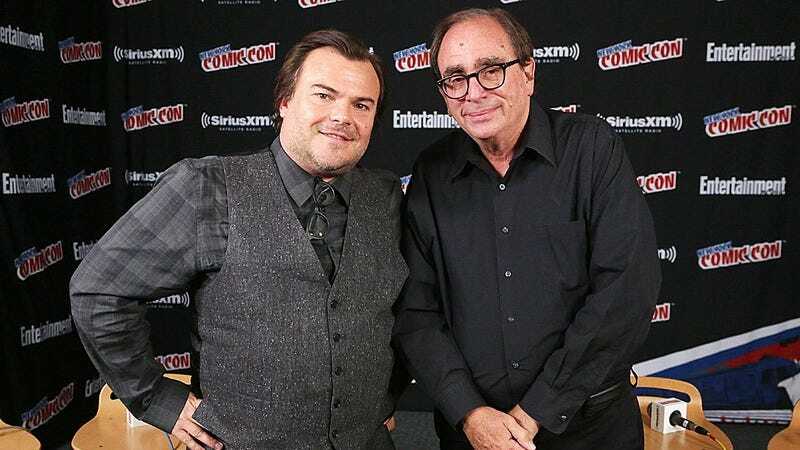 And Goosebumps isn’t going anywhere; the 2015 film adaptation starring Jack Black was successful enough to warrant a sequel. Better yet, it was recently announced that it would take place at a staple of Stine’s latter-day books, Horrorland. Fingers crossed for another Slappy cameo.